Acts as a balancer helping one to remain centered within, despite the storms one the outside. It instills calmness and clarity, and enhances self awareness. 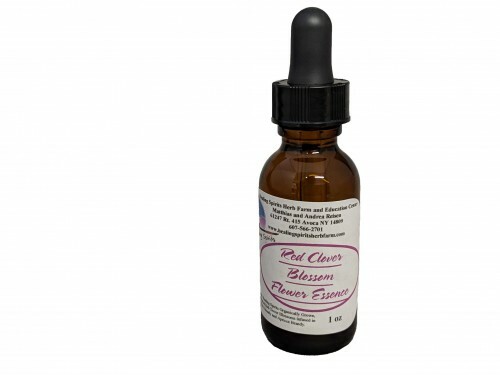 Red Clover Blossom can also help with panic and insecurity in pets. Click here for more information. Made with Healing Spirits organically grown and hand picked Red Clover Blossom Flowers infused in Fresh Water and Apricot Brandy.